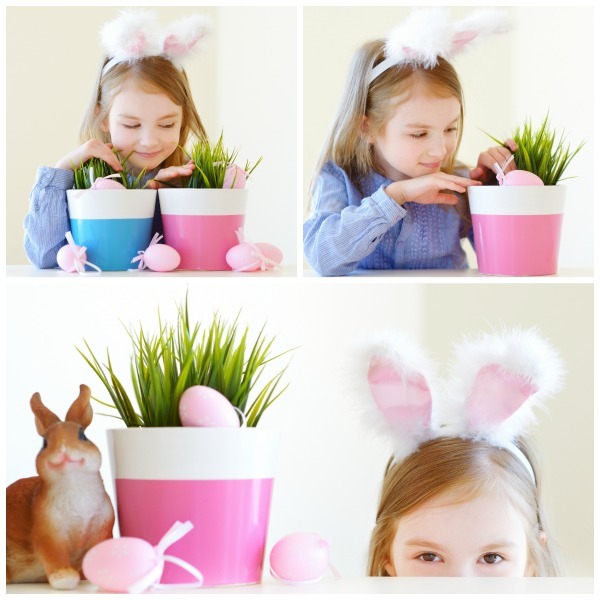 Growing Easter basket grass is a really fun & educational Easter activity for kids. 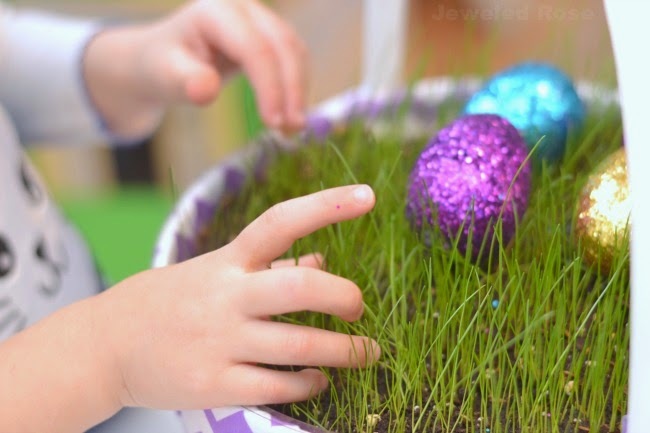 It takes a couple of weeks to grow your own Easter grass, so I do recommend starting this project a few weeks before Easter. 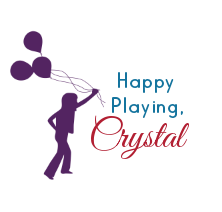 My girls really had so much fun with this! Are you ready to give it a try? 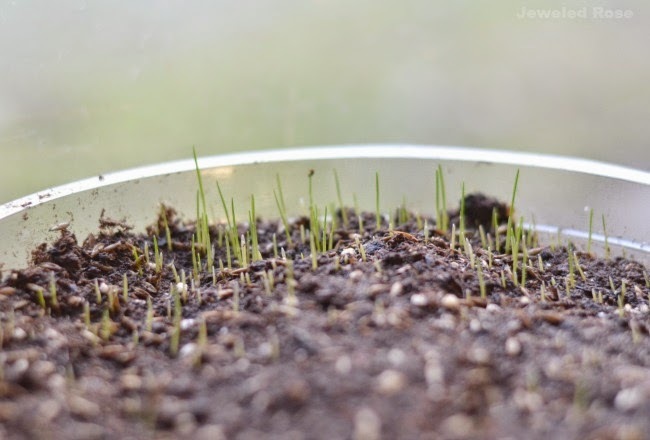 Note: You want to make sure you use fast growing grass seed. 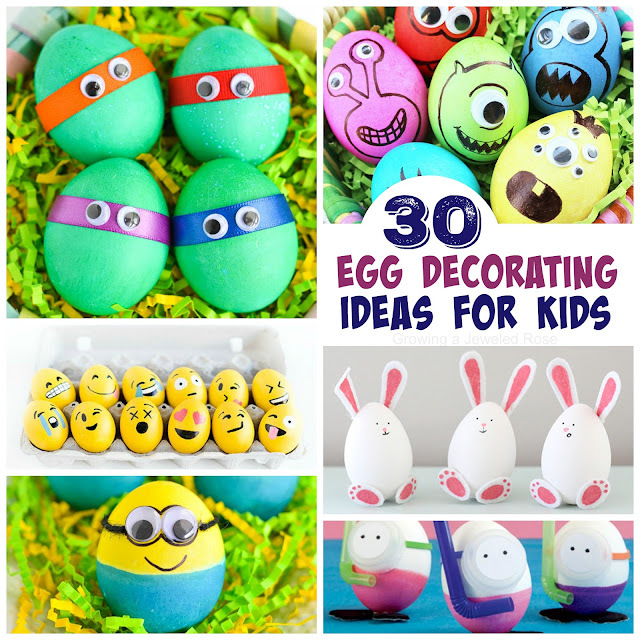 It can be purchased at stores like Home Depot or online here and here. Plastic plant saucers can also be purchased online here. 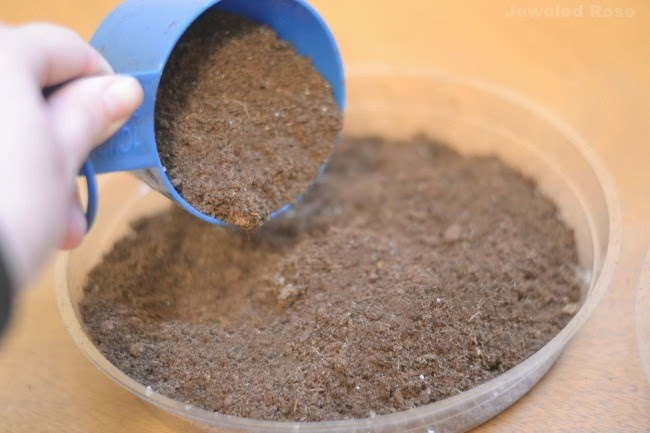 Fill your plant saucer about halfway with potting soil. 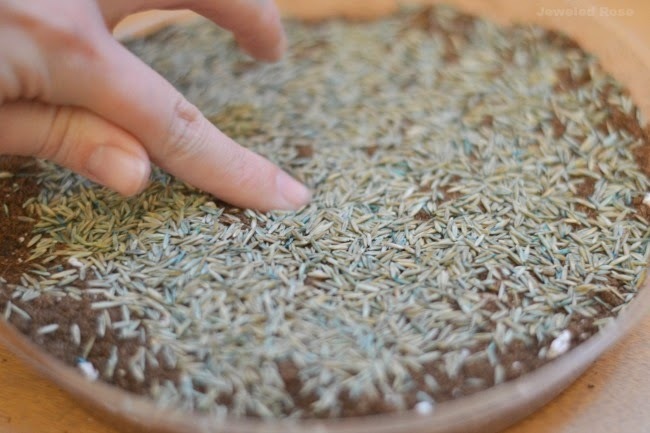 Pat the soil down a bit with your hand, and then cover the surface with quick-grow grass seed. 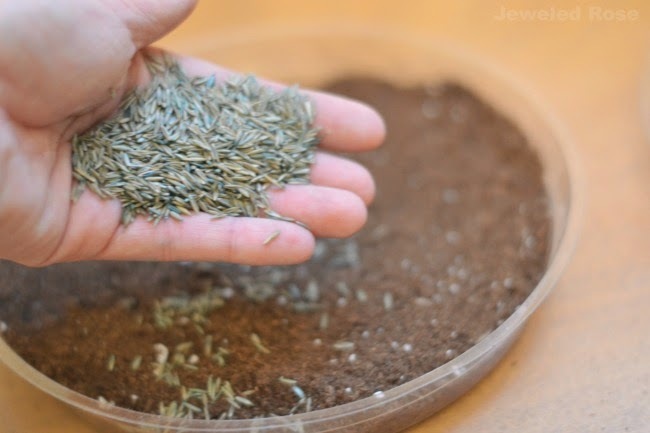 Press the seeds into the dirt, and then fill the saucer with more dirt. Place your plant saucer in a sunny window, and water it daily. You should begin seeing sprouts in 3-5 days. 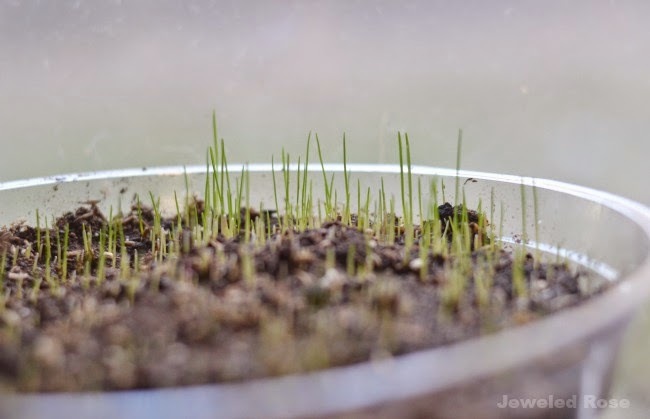 Once the grass sprouts it grows really quickly! 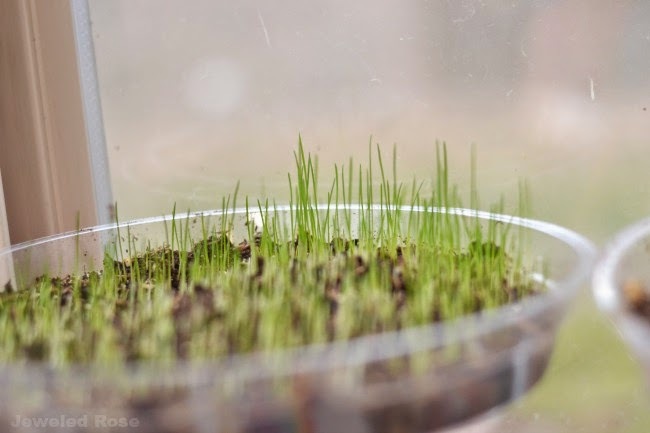 This is what our Easter grass looked like after one week. Rosie and Jewel loved watering the grass everyday, and they really enjoyed watching it grow! 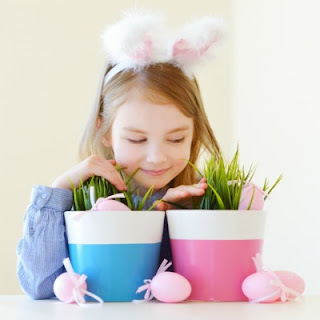 You should have enough Easter grass for your Easter basket in 2-3 weeks, but you can grow it longer if you prefer. The longer it is left to grow the fuller the grass will become. 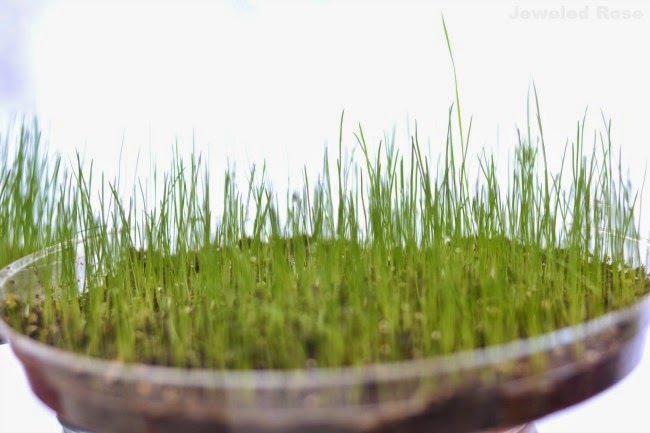 Let kids give their grass a "haircut"